We design and produce custom made stylish handrails in either aluminium or stainless steel. We can design with a matching balustrade to suit your home or building style. All stairways whether inside or outdoors need a handrail to meet the latest building code requirements and for everyone's safety, our custom designed handrails meet these standards. Whether you need a handrail to match your existing balustrade or a combination of handrail and balustrade made to suit your home, we can help you. 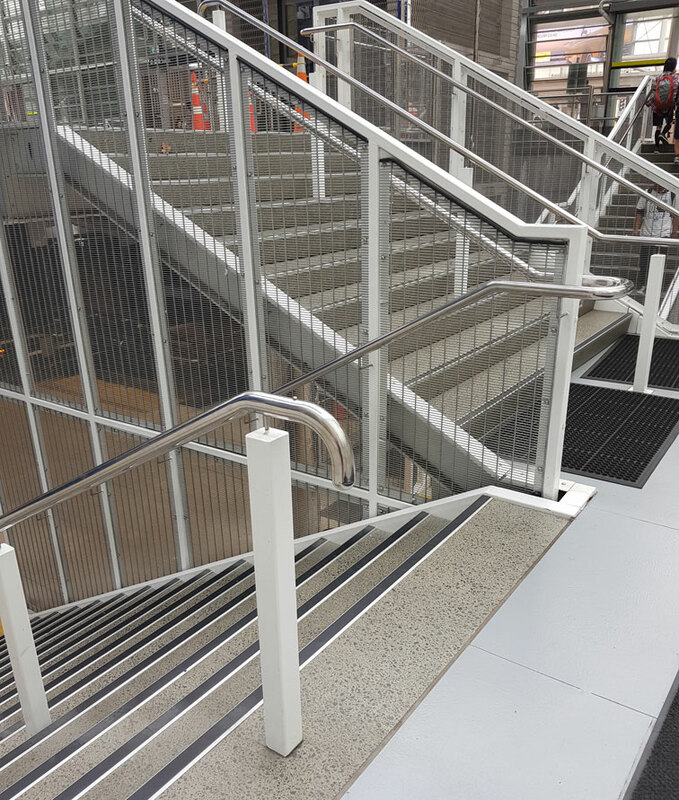 We are experts at custom designed and crafted handrails made from aluminium or stainless steel. These long lasting and hard wearing metals can be designed to look stunning and suit any style of home decor, providing an economical and attractive choice. We are experts at creating commercial standard custom designed handrails to suit your building style. Every handrail we make adheres to the latest building code requirements. Stainless steel or aluminium handrails will last for decades without costly maintenance, just a wipe down is all it needs.